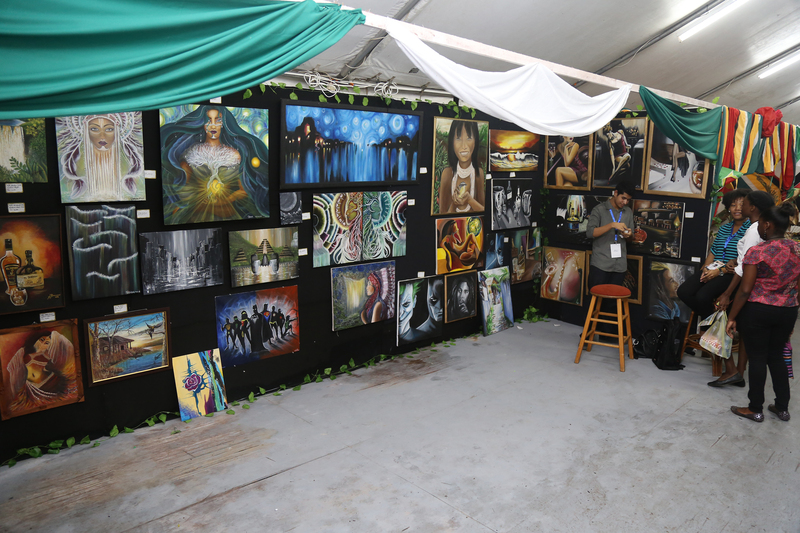 Art from local artists being displayed for sale at GuyExpo yesterday. 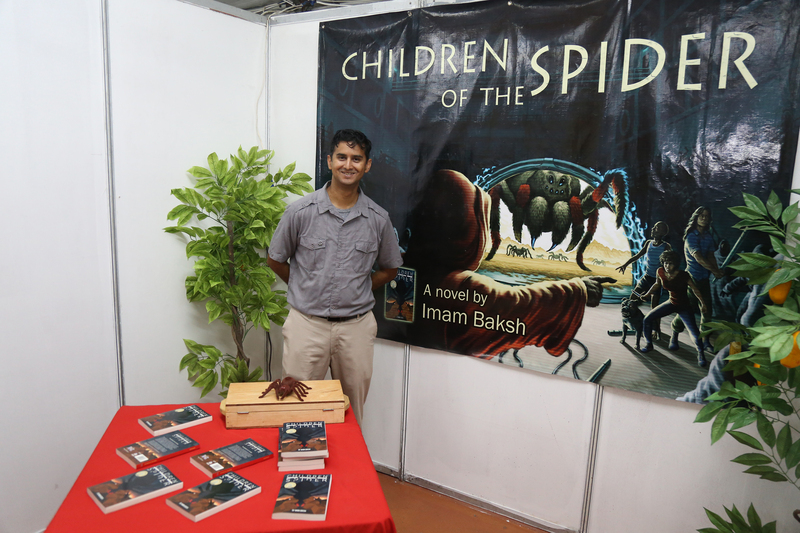 Imam Baksh at his booth with the book he wrote, ‘Children of the spider’. 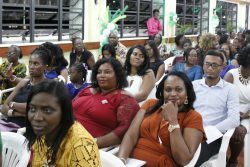 The man who hails from Essequibo praised the GuyExpo coordinators for giving him the opportunity to be an exhibitor for the first time. 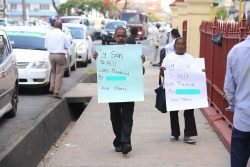 While it has not officially gone on sale as yet, patrons were able to purchase one of the select few that have been printed so far. 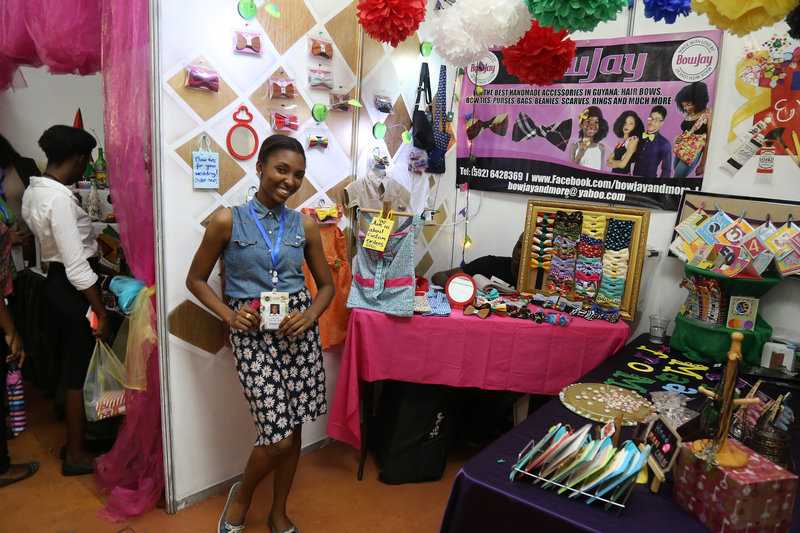 Owner of ‘BowJay’ Jenell Pierre in front of her booth yesterday. 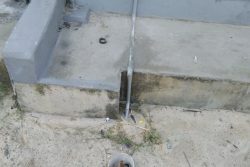 Pierre has been partaking in the event since 2011. 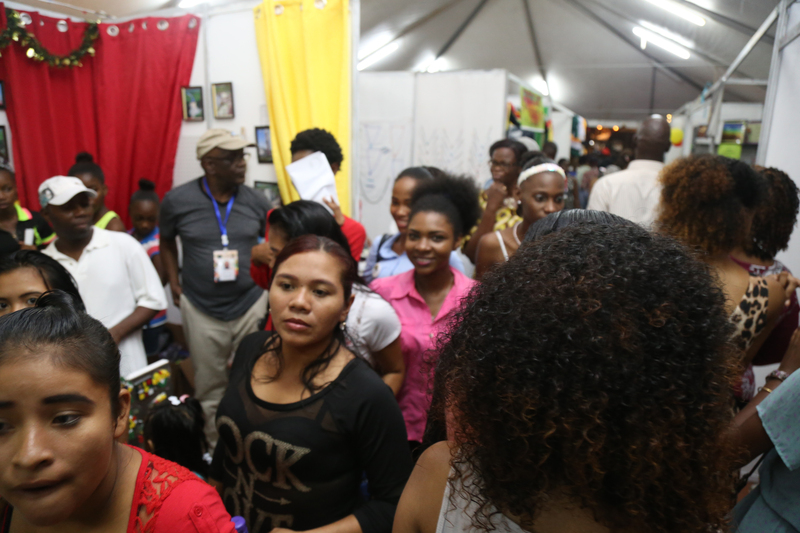 Expo crowd: Patrons at GuyExpo last night after the opening ceremony.